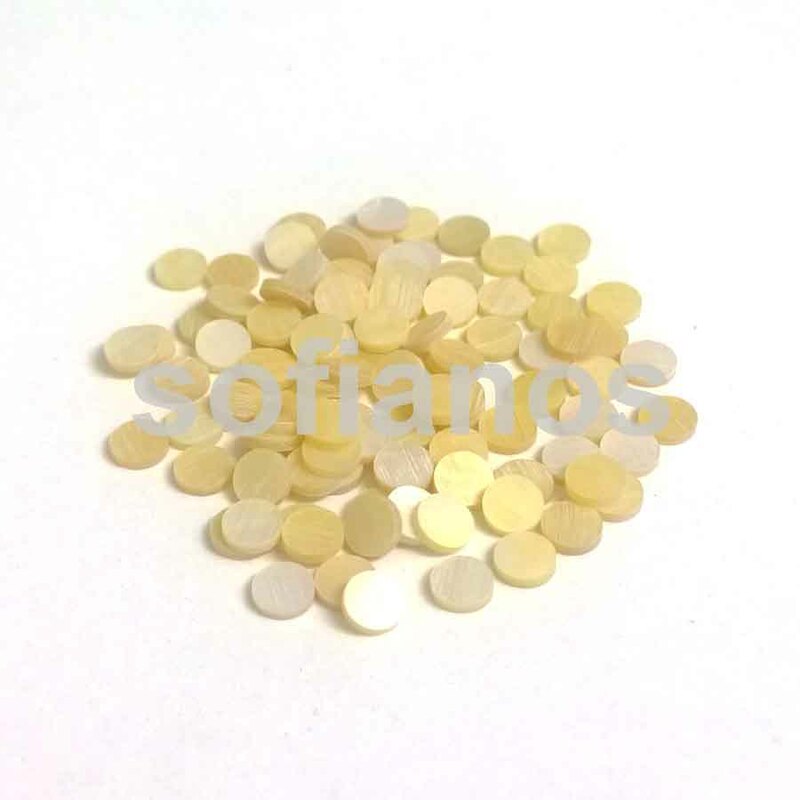 Gold mother of pearl dots 4mm. 10 pieces. 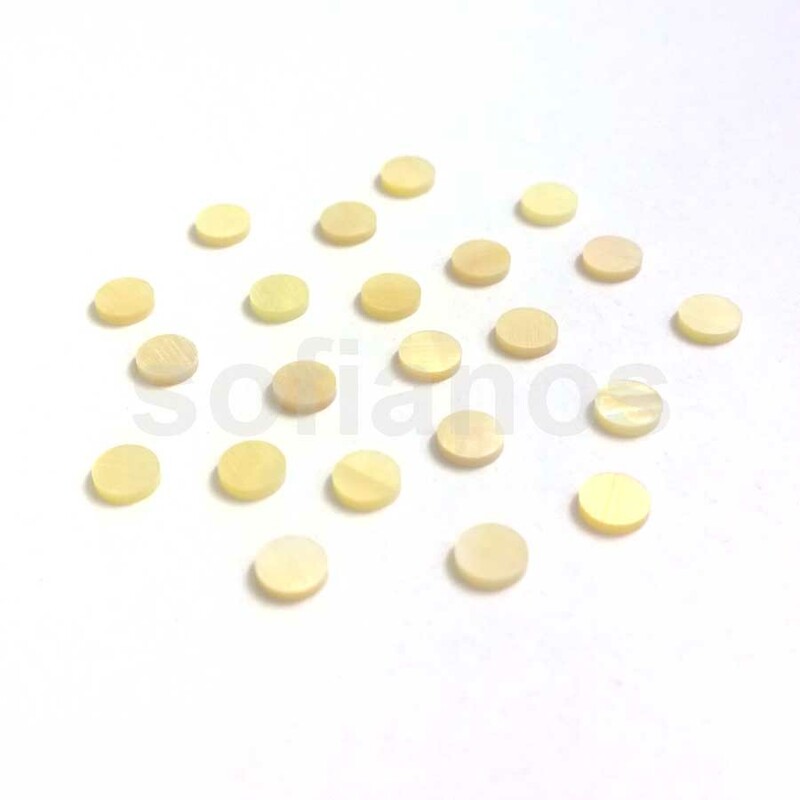 LUTHIER SUPPLIES » BY INSTRUMENT » PONTIC LYRA » LUTHIER SUPPLIES » BOUZOUKI » SHELL BLANKS | INLAY MARKERS » FRETBOARD MARKERS | DOTS » Gold mother of pearl dots 4mm. 10 pieces. Sold as a set of 10 pieces.